Due to the delicate nature of marketing an on-going business many winery owners choose to privately and discreetly market their operation. 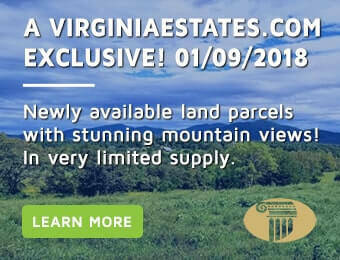 Virginia Estates works closely with a large number of wineries which are privately available for sale with production capacities ranging from 1,000 to 400,000 cases per year and priced between $900,000 and $40,000,000. If you are a fully-qualified buyer in the final stages of the decision making process please contact Rick Walden at (877) 646-8800 for more information. If you are considering the sale of your winery but are hesitant because of concerns about what your employees and customers might think, we have a very discreet marketing plan that will appeal to you and will not interfere with your ongoing business. Virginia Estates has been selling vineyards and wineries since 1988 with consistent success. Over the years, our team has accumulated a great deal of practical and theoretical knowledge that enables us to help winery buyers and sellers attain their goals efficiently and equitably. View our Sales Brochure which highlights our many successful winery and vineyard transactions. Many people are attracted to the stunning natural beauty found in the mountains of North Georgia, along with the ample opportunities to pursue the active lifestyle with back-country hiking, camping, mountain biking, golf, river rafting and the like. There are also many ways to relax and indulge one’s need to kick-back a little, and there is no better way than with a glass of fine wine from one of North Georgia’s award-winning wineries while watching the sunset over the majestic mountains. Beyond the active pursuits which abound in these mountains, there are many luxurious bed and breakfasts, country inns, antique stores, local art galleries and a myriad of both casual and fine dining options where one may savor distinctive cuisine, usually paired perfectly to a fine Georgia wine. The mountains of North Georgia offer the perfect combination of elements needed to produce superlative wine grapes and world-class wines—conducive terrain, soil type, drainage, elevation, and sunlight all come together to provide a unique terroir, or “sense of place”. This is wonderfully translated by the wine-growers and wine-makers of North Georgia into wines that delight and satisfy even the most discriminating oenophile. 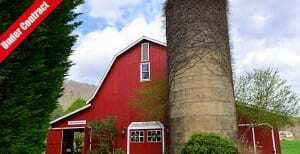 Currently there are 21 integrated vineyards and wineries in North Georgia, and this overall area is gaining growing national attention and recognition as an up and coming prominent wine region. So, make it a point to come to North Georgia for the beauty and majesty of the mountains, and stay for the fine wine! And, if you are considering a lifestyle focused wine-growing and wine-making on the East Coast, this mountain region should be on your list to experience and carefully consider…let us know at Virginia Estates how we may help you achieve your vision. Virginia, North Carolina, Georgia, and Maryland. Natt Hall can be reached at (434) 296-1234.